Please note this listing is for one wall clock only. 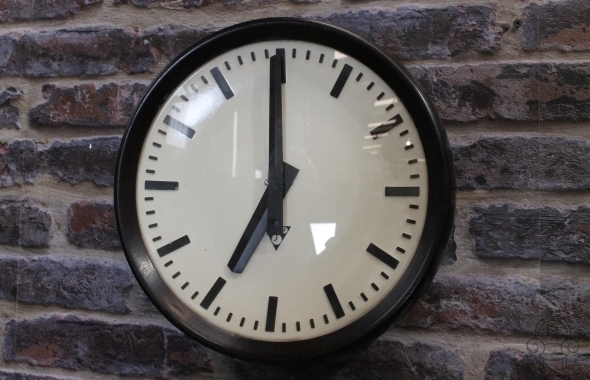 A fantastic chance to purchase an original Bakelite industrial style wall clock. 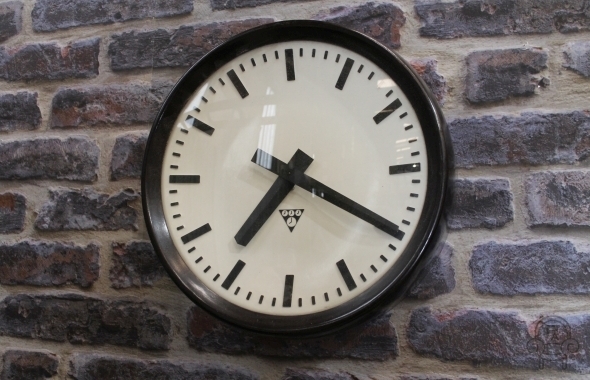 We have 10 of these wall clocks available, which have been recently acquired from a large factory clearance. 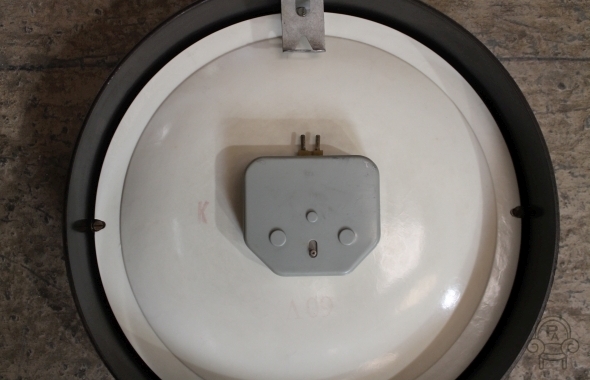 These wall clocks are in brilliant condition and would be a lovely feature for any vintage or industrial themed space. 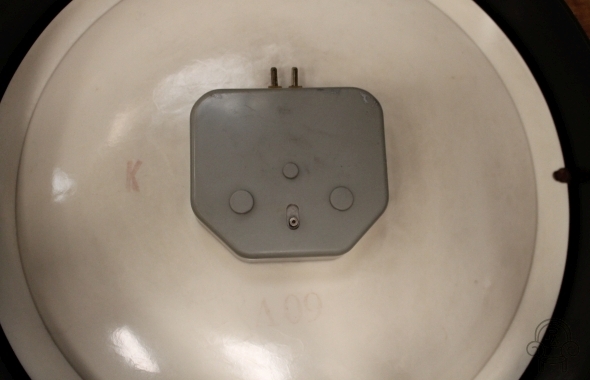 There is no connecting plug with the clocks as they were run off mains. 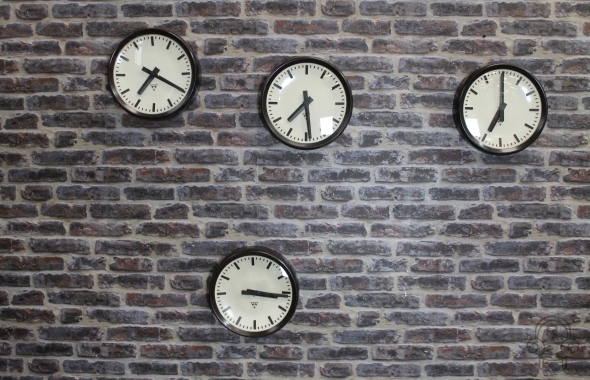 As these clocks were still stacked on the shelves and wrapped in tissue paper when acquired, we believe that they are brand new and have never been used. 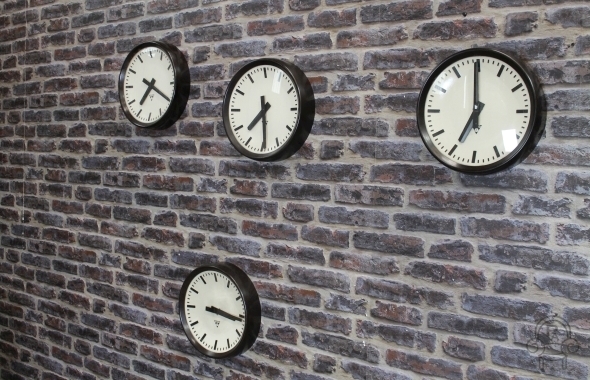 We feel that with a small amount of effort you could easily get these clocks working, and they would make a great feature for any wall.